Heron Square gets Christmas makeover…for one week only! 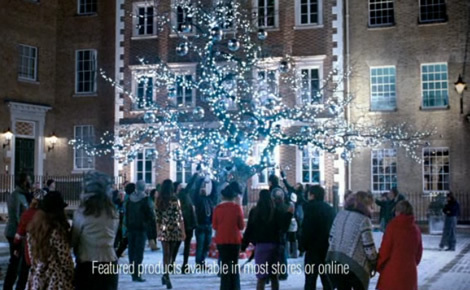 Richmond Riverside was delighted to provide the picturesque setting for Matalan’s Christmas TV advertising campaign. With props including trees and artificial snow covering the entire square, the production provided some excitement for our tenants and passers by during one week in October. To see the commercial, please click here.